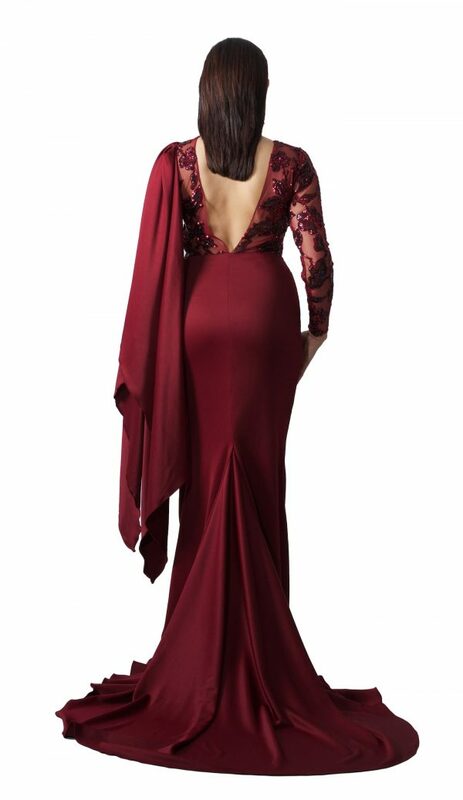 Cape assymetric gown with Rose wine sequence embroidery and modern slit. Fabric is super stretch for the perfect fit. Top is sheer with built in bra.